The Husky 3/16-inch x 6-inch Cabinet Tip Slotted Screwdriver features an alloy-steel blade that is heat treated for strength and nickel plated for corrosion resistance. Features a serrated tip that provides engagement with fasteners and limits cam-out and stripped screwheads. Tough, durable butyrate handle withstands exposure to solvents and chemicals commonly found on worksites and in automotive shops. 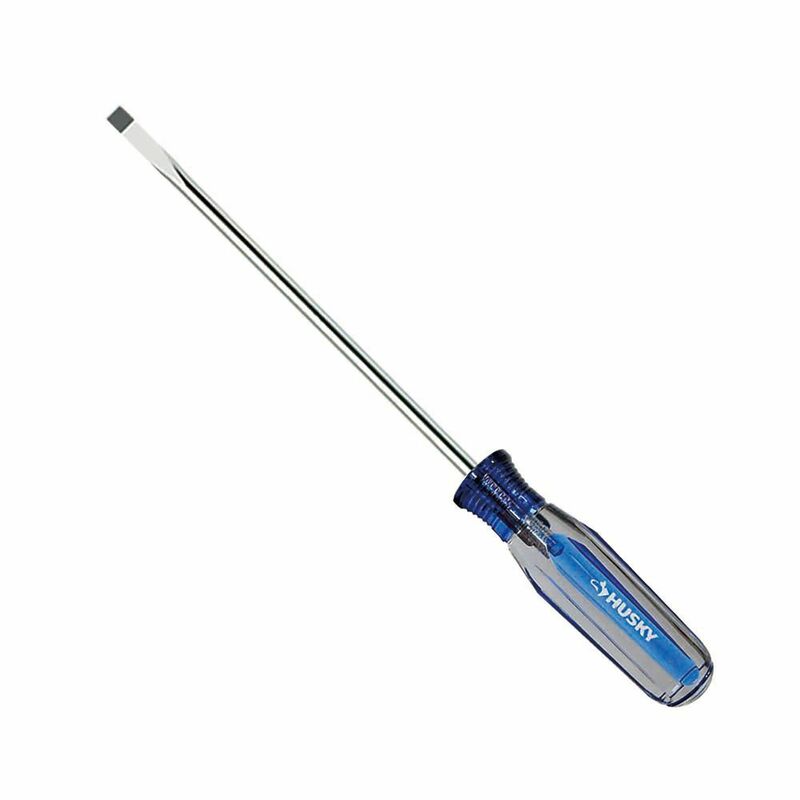 3/16-inch x 6-inch Cabinet-Tip Screwdriver with Acetate Handle The Husky 3/16-inch x 6-inch Cabinet Tip Slotted Screwdriver features an alloy-steel blade that is heat treated for strength and nickel plated for corrosion resistance. Features a serrated tip that provides engagement with fasteners and limits cam-out and stripped screwheads. Tough, durable butyrate handle withstands exposure to solvents and chemicals commonly found on worksites and in automotive shops.